Creating a dashboard that is simple in its design, and builds a data story, is harder than it seems. The tips in this paper will help you achieve balance across the dashboard, while still getting the main business messages across. 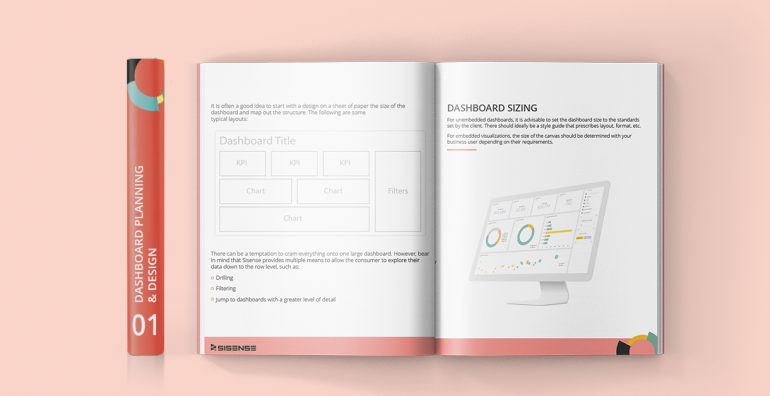 Whether the dashboard is for internal users or embedded for external users, it’s imperative to design a good dashboard that tells the story of your data. This paper offers a unique perspective on building dashboards that will evoke breakthrough moments from all your users. Dashboard design tips that will elevate your data visualizations to state-of-the-art presentations.